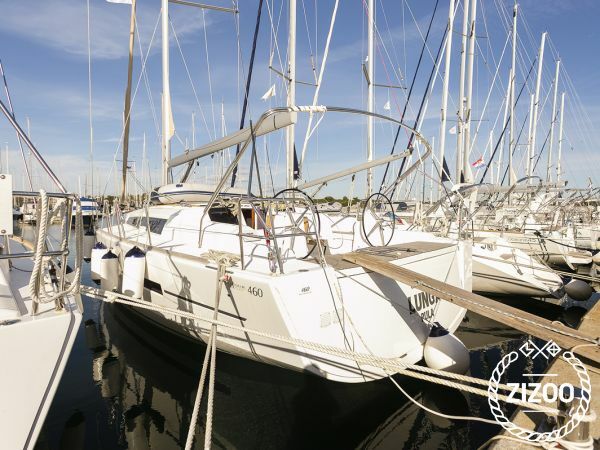 This Dufour 460 Grand Large sailboat, built in 2016 is an excellent choice for those wishing to experience a new sense of freedom in style and comfort. Wake up to the sound of the sea in one of the Dufour 460 Grand Large’s 4 spacious and modern cabins. Sleeping up to 10 people, this sailboat is perfect for sailing with friends and family. The Dufour 460 Grand Large is located in Dubrovnik ACI Marina (Dubrovnik), Dubrovnik, a convenient start point for exploring Croatia by boat. Happy sailing. This gave us boost on our experience in Dubrovnik. We had the chance to see King's landing and all of its beauty. The boat was as described and skipper very respectful. The vacation was excellent. We didn't have any trouble with at all and everything was in terms of friendliness and service far behind what we were used to. Lots of thanks for your service and will for sure come back next year. Lots of recommendations, the group from Italia. Wir haben den gesamten Urlaub sehr genossen. Check-In/Check-Out ohne Probleme, Preis sehr gut, ebenso das Boot. Viele Dank!